Welcome to Bliss. 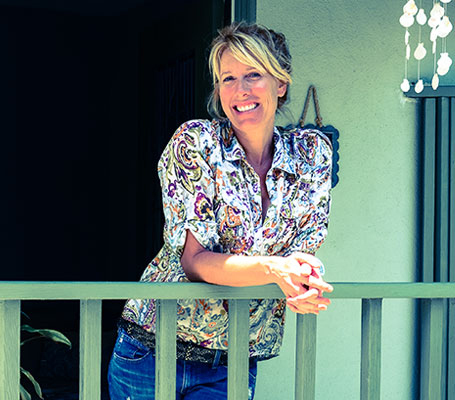 Sara has been a licensed esthetician since 1996. Before skincare, she worked as a freelance make up artist on photo shoots. Her personal life keeps her just as busy as her professional. Sara has been married to her husband John, a restaurateur, since 1999 and they have two wonderful kids together. "My skin care philosophy is to keep things simple. I customize each treatment to get the best results. With my special techniques, you'll receive a thorough and extremely relaxing facial. I love what I do and continue to be fulfilled by helping people improve the look of their skin and well being." 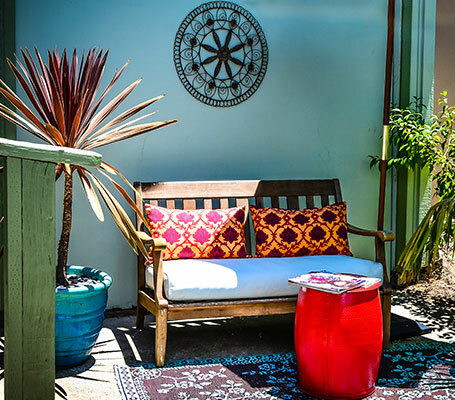 Come experience the most tranquil facial treatment in San Diego. We realize that every person who enters our establishment has their own unique and individual skin concerns, which is why we are pleased to provide customized services and products that are personalized and tailored exclusively to the needs of each individual customer. All of our facial treatments are specifically prepared for each individual, using the highest quality products and modalities. Check out our Skin Care and Waxing menu for your next treatment. We specialize in brow shaping and color ehancement with tint. We offer the most advanced and innovative skin care treatments and products available today — all delivered with the knowledge and experience to meet the precise needs of your skin. Proper eyebrow shaping is extremely important. We are proud to represent skin care products that we believe in: IMAGE Skincare, Epicuren®, and Colorescience®. At Bliss Facials, we truly care about skin. All of it, every type, every day. It's why we are driven to provide highly effective, easy to use products that help skin defy aging and harsh environmental effects. As estethicians we trust these products to keep skin fresh, healthy, and youthful looking. Because they work. 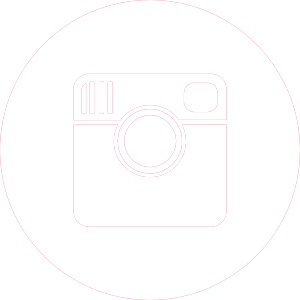 Check out our products here. 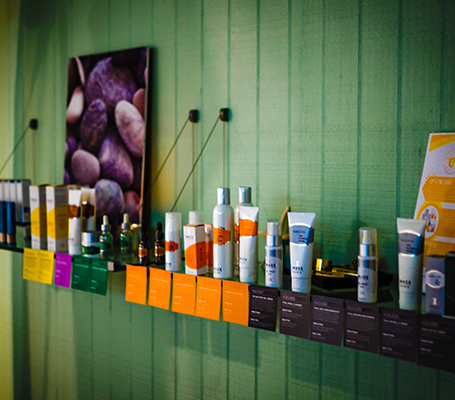 Bliss Spa offers customized facials, skin care products, and waxing services. 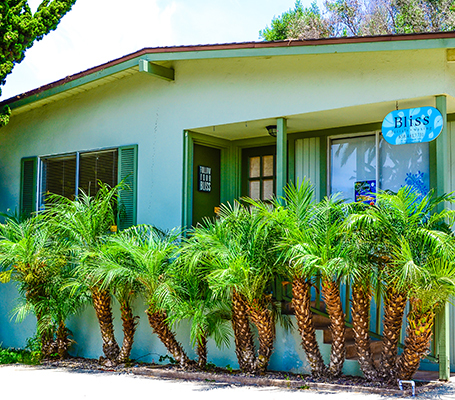 We are located one block west of Coast Hwy 101 in Solana Beach. 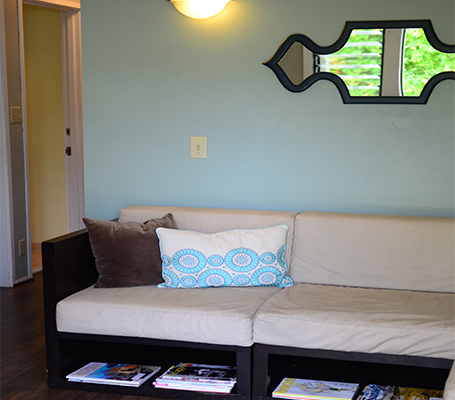 Other services are available in our seaside bungalow which include accupuncture, massage, and movement therapy. 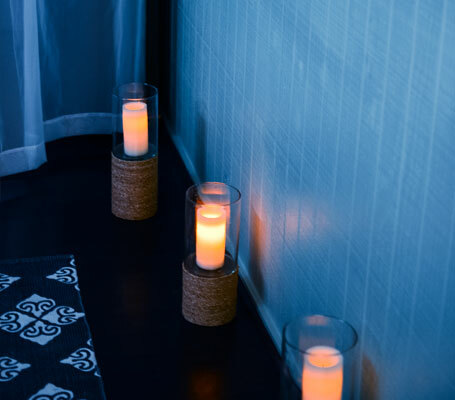 Bliss spa services are reserved just for you, so we kindly ask that you notify us 24 hours in advance if you need to cancel or reschedule any appointment. Please advise us of any health issues such as high blood pressure, heart conditions, allergies, recent injuries, pregnancy or any other condition that may prohibit a particular treatment. We accept all major credit cards and personal checks. A $30 fee will be charged for all returned checks.